Today: Sunny. Highs in the 60s to near 70. Sunday Night: Clouds arrive late. Lows in the 40s and 50s. Monday: Cloudy, rainy, windy. Highs in the 50s. Cool sunshine dominates New England on Sunday, particularly at the coast where highs will only reach the 50s to near 60 with an easterly wind. Inland, a bit away from the cooling influence of that seabreeze, temperatures will climb into the 60s and 70s. Clouds gradually return tonight with lows in the 40s and 50s for most. Monday then turns raw, rainy, and windy. Highs will only be in the 50s with a continued onshore wind. Rain will arrive early in the morning in Western New England, spreading east during the morning commute. The rain will fall heavily at times, especially in parts of Eastern Massachusetts, during the afternoon. 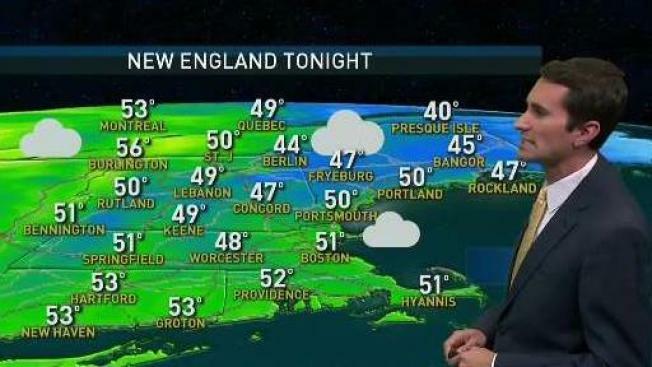 While the steadiest rain will exit Western New England during the afternoon, we’ll still have a rainy evening commute in Eastern New England. Tuesday and Wednesday will also be cool, with 50s to near 60, and mostly cloudy. We’ll also still have some scattered showers. Rainfall during those three days will range from 0.50-1.5 inches in many spots. We’ll finally start to dry out and find a bit more sun by the end of the week. Temperatures will recover into the 60s and 70s for more of us by then as well.